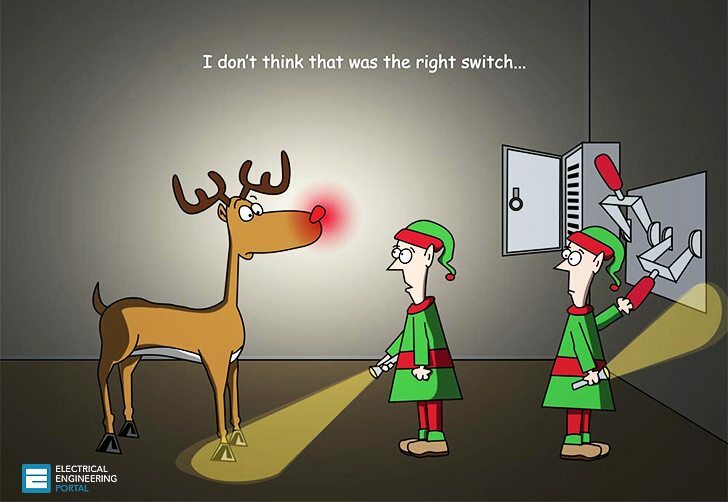 Pull the switch and enter the 2016! Engineers, Happy New Year! Home / Technical Articles / Pull the switch and enter the 2016! Engineers, Happy New Year! When I think of this year 2015… well it was a pretty busy year in general. A lot of published technical articles and various released electrical guides, tons of your comments. Believe it or not, in this year we had 14,6 millions of pageviews which is 28,6% more then we had back in 2014. That’s great improvement! EEP Wishes you all the best in 2016! Also, I would like to mention EEP’s occasional contributors Sajna Soman, Ammar Anwar KHAN and Midhun Krishnan for their efforts. Thank you. I will repeat what I said a year back, about the probably most important for the most of you – how to find the job in our #EE branch. It’s still hard to find decent #EE job nowadays, crysis are rising everywhere and world stage has never be more unstable. Despite all, I strongly advice you to work hard on yourself and your knowledge and success will surely come. Use everything you can to boost your knowledge in electrical engineering and make yourself ready for the future job opportunities. EEP is always here to help you! May you have a bright and prosperous 2016 New Year filled with all good blessings! very nice article , will love to have more ..
A VERY HAPPY AND PROSPEROUS NEW YEAR…….TO ALL. Happy New Year. Thanks a lot for your very useful technical site. Thank you, happy NY to you too! A VERY HAPPY NEW YEAR -2016, I have got a lot of technical details from u.
Glad to hear this Uttam, happy New Year to you too! Thanks a lot for nice topics sharing. You’re welcome Hossain, happy NY! Siguran sam da citas i razumijes ovo pismo. Zelim se tebi i tvojim suradnicima zahvaliti na izvrsnom radu na ovom portalu i zazeljeti da samo tako nastavite u Novoj godini uz najbolje zelje u Vasim privatnim zivotima. Na kraju bih htio dati mali prijedlog ako je moguce u da se Vasim radovima malo vise referirate na Evropske u odnosu na USA standarde. Hvala Velislave, srecna Vam Nova Godina takodje, zelim Vam puno srece i uspeha :) Hvala na predlogu, bice usliseno! Most engineered electrical web site so many things to learn from here. I wish all the best for Mr.Edvard who is the person doing valuable things for the society. Keep going…….. I am wishing you all a very happy new year.EEP portal is very useful to both experts as well as beginners. Please publish an article on design of single phase and three phase induction motor. Thnak you PALIWAL, happy NY! Happy New Year and best wishes to You and all!! Thanks Marian, happy New Year to you too! Thanks to gave a lot of technical information in detail with nice explanation..
Glad to hear this Ashok, happy New Year! Thank you Edvard for your fruitful articles throughout the year. It really helps us during our jobs. Thank you Hussain, keep on learning and happy New Year to you and your family! Thank you Rami, thank you for these kind words, really thank you. I’m really glad that you enjoyed EEP’s stuff and learn a lot. Happy New Year and best wishes to you all. Thank you Tem, happy NY to you too! Have a Happy New Year & Thank you for the valuable information we get from you. Wish you Happy New Year – 2016 to all….. Thank you Sandeep! Happy New Year to you too! Have a happy new year and thank you for the valuable information we get from you. Thank you very much for your invaluable contribution to our knowledge. Your site has the unique characteristic of selecting the substantial information on every subject. Also through your citations i have discovered wonderful books and practical technical guides. I wish you health and prosperity and a Happy New Year! Thank you Panagiotis, very kind of you! Have a good NY and send my regards to all Greeks! Happy new year! Best wishes to you all! Thank you Ina, happy New Year to you too!! Thank you Durga and happy NY to you too! Thank you Reddy, I hope win app will be released next year. Happy NY! The day i open this site was one of my glorious days…… i start my day by entering EEP and every day i learn something new ……… really i want to thank you Mr Edvard Csanyi and your teammate for your efforts ………. keep going my friend and god help you. That’s really nice what you’re saying, I’m really honored, thank you! Happy New Year!